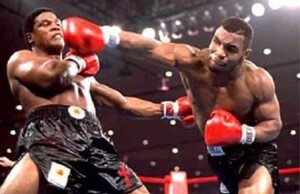 For many years, boxing fans could not enjoy abundance when it came to quality fights. In 2017, however, the situation changed dramatically. Fans witnessed a series of great bouts, including the highly anticipated bout between Wladimir Klitschko and AJ. 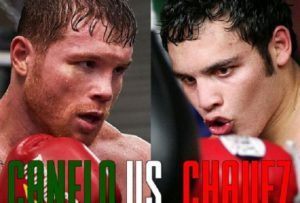 The upcoming 2019 promises to be another exciting year for boxing fans, as several major bouts are expected to take place. As a matter of fact, some of the most anticipated fights of the past three years are to happen in 2019, making the year truly memorable in the sport’s history. So, what bouts do we hope to see in 2019? Read below the predictions from sportingpedia.com to find out. Arguably the most significant bout for 2019, the fight between Anthony Joshua and Deontay Wilder is to determine the heavyweight unified champion. Both fighters are unbeatable and both won unexpectedly. AJ climbed up the boxing ladder after knocking out Wladimir Klitschko in 11 rounds back in 2017, while the Bronze Bomber did it by surviving a seven-round beating from Luis Ortiz. With this in mind, it is sure that when the two finally meet, it is going to be epic. The fighters’ physique is very similar. Wilder is just 1 inch taller than Joshua – 6’7” compared to 6’6”. Joshua is the heavier one, though, as he weighs over 240 lbs compared to Wilder’s 220 lb frame. Many experts put their money on Joshua, claiming that he has a better technique and more stamina than his opponent. However, Wilder has just as many fans who believe that his unusual fighting style and sheer “wildness” will prevail over his opponent’s skills. Mikey Garcia proves himself an ambitious man; he is willing to risk life and limb and jump two weight divisions to face IBF welterweight champion Errol Spence. If Garcia gets through this, a bout against Vasyl Lomachenko will determine the lightweight unified champion. With his amazing record of 396-1, Vasyl Lomachenko built a reputation as the greatest amateur boxer in history. On top of this, the fighter has won two Olympic gold medals, which testifies to his unparalleled skills. Loma is a record-breaking amateur boxer; he became a three-weight world champion in just 12 fights after defeating Jorge Linares in May, 2018. The only person who vows to defeat the seemingly unbeatable Loma is Mikey Garcia. Mickey is a four-weight world champion who knows how to knock out his opponents. While he might not boast the skills Loma does, he is still an opponent that should not be underestimated. The first Floyd Mayweather vs Manny Pacquiao bout took place back in 2015, but a “chance” meeting in September this year is said to have sprouted a return of the well-known fight. Even though “The Fight of the Century” was heavily criticised, many fans believe that the second installment will be more fruitful. “Money” has fought only twice since 2015: the first bout ended with a 12-round decision over Andre Berto in 2015, and in the second bout the fighter stopped UFC star Connor McGregor. Meanwhile, his opponent “Pac-Man” he has fought four times since 2015, winning decisions over Tim Bradley and Jessie Vargas in 2016, but losing a disputable decision to Jeff Horn the following year. We are sure that this match will be great for the betting fans, If you are new in the betting word you can take you first steps with this box betting tutorial. The Jackal and El Terremoto have already faced each other twice, resulting in a score for each fighter. Analysts proclaimed both bouts “mini classics”: fighters utilised numerous techniques, making them a great spectacle to watch. Now, if Frampton manages to defeat IBF featherweight champion Josh Warrington, a third bout is to take place in 2019. 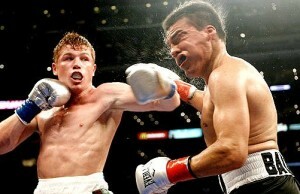 The fact that the bout will undoubtedly be exciting, and yet some do not regard it as an especially significant event. Rumour has it that the Jackal will call time on his career regardless of the outcome of the fight, so even a win will not benefit anyone but him.